Every week, The Thread checks in with booksellers around the country about their favorite books of the moment. This week, we spoke with Abbey Paxton from BookBar in Denver, Colo. Bookseller Abbey Paxton thinks you should write this name down: Kali Fajardo-Anstine. 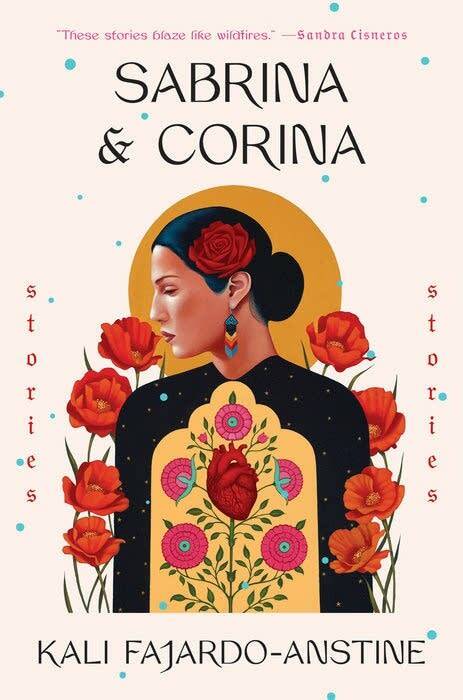 Fajardo-Anstine is the author of "Sabrina & Corina," a new short story collection. "It's a debut, and she's coming out of the gate so strong. I think we're all going to know about her by the end of 2019. I'm not going to stop talking about her, for sure," Paxton said. The collection features stories of indigenous Latina women living in Colorado. "Mothers, granddaughters, sisters, cousins are the protagonists of every story," Paxton said. The title story — "Sabrina & Corina" — centers on two cousins who have grown up together, almost like sisters. It opens with Corina reflecting on Sabrina, who has been murdered. "The whole thing is a subtle reflection on the value of beauty and what costs does beauty come at, for women particularly," Paxton said. "They're the kind of stories that are going to linger with you for a long time." "One thing that [Fajardo-Anstine] does remarkably well is develop this sense of place. ... She's able to look head on at the beauty of these mountain places, while also not flinching in addressing the complications of the state of flux that Colorado and Denver have been in," Paxton said. "The wounds of gentrification are really handled with such grace and power in this collection. It's unbelievable." Fans of Lauren Groff will find a similar feel in this collection, Paxton said. "Her style of being so directly indirect is very similar to what reading 'Florida' by Lauren Groff kind of felt like. Her insight into women and the way these women are thinking and moving through the world, there's a subtlety that gives it so much power."